One of America’s first female pilots earned fame performing in air shows across the country, where she was billed as the “flying schoolgirl” for her youthful appearance. This daring aviatrix was Katherine Stinson, a record-setting pioneer of American aviation who helped pave the way for the pilots of today. Born in 1891 in Fort Payne, Alabama, Stinson initially pursued a career as a professional pianist. After realizing how much money stunt pilots made in the emerging field of aviation, Stinson set out to learn to fly as a way to fund her music education. Stinson was trained by stunt pilot Max Lillie, who was a pilot for the Wright Brothers. After just four hours of instruction, Stinson flew the plane solo with ease. Soon, she fell in love with flying and decided to give up her musical career to become a stunt pilot instead. In 1912, Stinson became the fourth woman to qualify for a pilot’s license, which was issued by the Federation Aeronautique Internationale. Stinson began flying at exhibitions, air shows, and county fairs around the country in a Wright biplane, using aerobatic techniques to execute daring maneuvers in the sky including diving 1,000 feet, racing automobiles, and performing loops. During her exhibition performances, Stinson set several aviation firsts. She’s credited as the first female skywriter; the first woman to fly over London; the first woman to fly at night, and the first female pilot authorized to carry U.S. air mail. 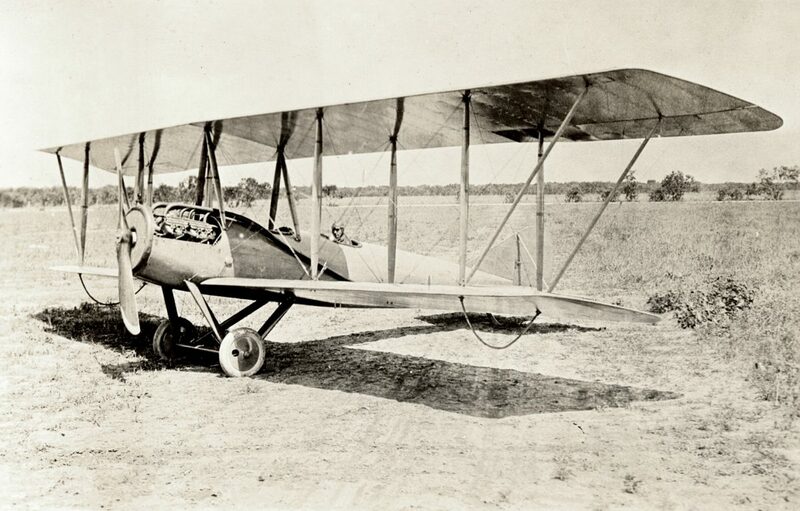 In 1913, Stinson and her mother started the Stinson Aircraft Company in Hot Springs, Arkansas, and later opened a small airport called Stinson Field in San Antonio, Texas in 1915. Together with her siblings Edward and Marjorie, Stinson founded a flying school called the Stinson School of Flying, which later became one of the first schools in the nation to instruct World War I pilots. In 1917, Stinson flew cross-country on a fundraising tour in a Laird biplane, performing stunts and raising $2 million for the American Red Cross. After she was denied admission to serve in the air service during World War I, Stinson joined the Red Cross Overseas where she became an ambulance driver in London and France. While working overseas, Stinson fell ill with tuberculosis and was unable to fly again. She married a former World War I aviator, Miguel A. Otero Jr., and lived in Santa Fe, New Mexico where she continued to work for the Red Cross until her death in 1977.